It's a toxic substance that can have serious effects. "There's really no level that's good. You shouldn't have lead in you," said Dr. Susan Andrews of Capital Area Pediatrics. "It gets into your bloodstream, into your body and into your bones." And, Dr. Andrews told us high levels can affect your brain. She explained, "I might test a 5-year-old that's having behavior problems just to make sure that that's not what's going on." A cause for concern at Glencairn Elementary School because on January 7th tests on water from a classroom sink show lead levels at 30 parts per billion, twice the EPA's acceptable level. "The faucet is going to be replaced Saturday and then we'll do more testing on Monday, after the faucet has been replaced in that particular room," explained Dr. Robyne Thompson, Superintendent of East Lansing Public Schools. 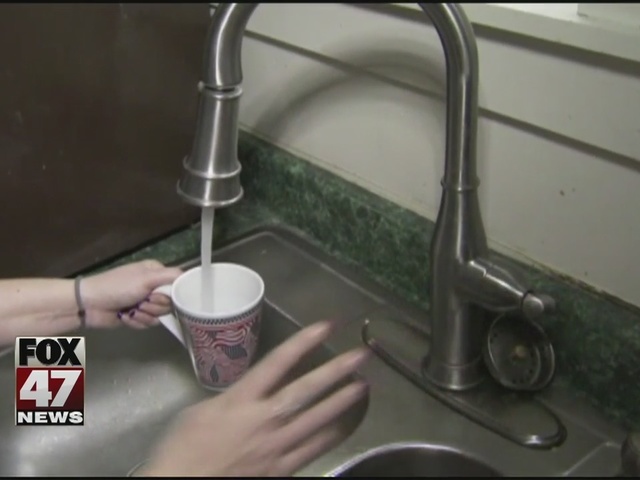 The note home to parents Wednesday states the initial testing began after a parent volunteer found a sticker asking users to flush the water multiple times a day to reduce lead levels. Dr. Andrews explained the possible reasoning behind that. "It's the pipes that transmit it, so if you run your water longer you're getting fresh water, rather than the water that's been sitting in there a long time," she said. Today, school officials met with the Ingham County Health Department about continuing testing. "We're gonna start with our oldest schools, obviously; and then, we'll decide where the next steps are beyond that," Dr. Thompson said. "There is no cause for alarm." Just this past August, Holt's Dimondale Elementary saw a similar problem with lead levels just above what's acceptable. So, students have been carrying water bottles and utilizing water stations. "We have replaced bubblers, that would be what you press down on to ensure the water comes up," Dr. David Hornak, Superintendent of Holt Public Schools said. "In many cases, we replaced our old water lines with new stainless steel braided lines to ensure the safety of our stakeholders." As they wait for the next water test in March. East Lansing believes the warning sticker at Glencairn has been there since the 90s. At both Dimondale and Glencairn, students are able to use restrooms and wash their hands. Only the drinking water has been affected.